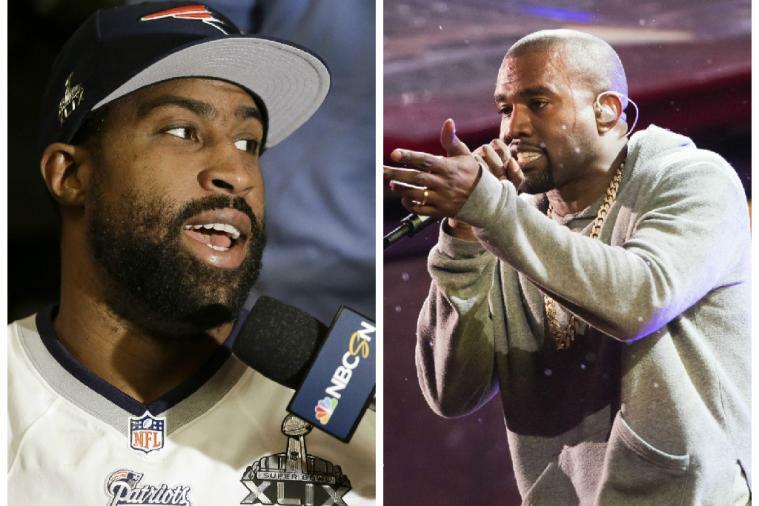 Here’s hoping Kanye West isn’t a New England Patriots fan — because the Super Bowl-winning team’s cornerback Brandon Browner isn’t down with the rapper. After West pretended to hijack Beck’s Grammy moment (in honor of Beyonce and “real artistry,” he later said) last weekend, Browner took to Twitter to slam Kim Kardashian’s husband. And Browner didn’t stop there, either. In fact, he used his own creativity to slam the artist some more. “Peep who he tried Beck and Taylor Swift. Real tough guy. If only I could’ve been Beck for one night. Kanye would be rapping thru the wire,” he wrote, referring to West’s song “Through the Wire” while implying he would’ve punched him in the mouth causing him to need dental work. Following the buzzed-about moment, West, 37, told E! News that Beck should “respect artistry” and should’ve given his award to Beyonce. However, during an interview with Ryan Seacrest on Wednesday, Feb. 11, the rapper retracted his statement and said he didn’t mean any disrespect to Beck.